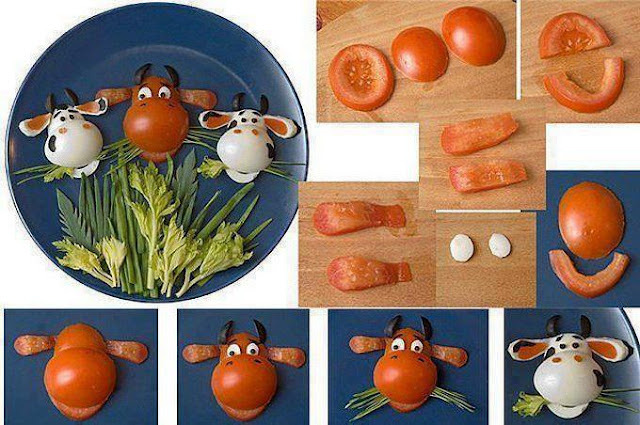 Here is an interesting food art idea for children - a cow head made with boiled egg and tomato. Cut the eggs and tomatoes for ears and other parts of the head as shown in the picture. The eyes, horns and the spots are made with black olive.